Future Worlds is a unique and vibrant startup accelerator at the University of Southampton which helps nurture aspiring entrepreneurs and cutting-edge technologies through one-to-one support and its network of seasoned founders, investors and millionaire entrepreneurs. 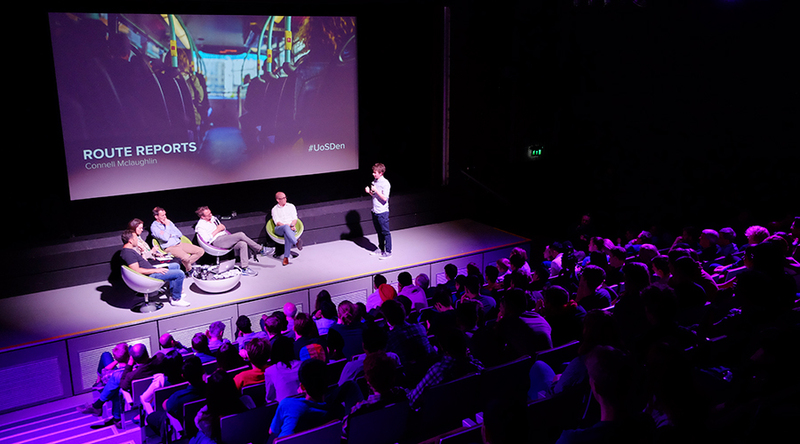 The accelerator hosts startup talks, skills workshops and investor pitching opportunities including an annual Dragons’ Den style investor event. The team includes experienced entrepreneurs and a film producer who can work with you to create video content in the Future Worlds studio. The Future Worlds web platform promotes the latest startups, events and mentors, and includes a wealth of learning material for entrepreneurship. Opened in Autumn, 2018 Future Worlds’ purpose-designed accelerator space is the primary on-campus hub for entrepreneurship. The space offers hot-desking and five flexible meeting rooms whilst hosting up to 15 resident startups for its six-month programme. 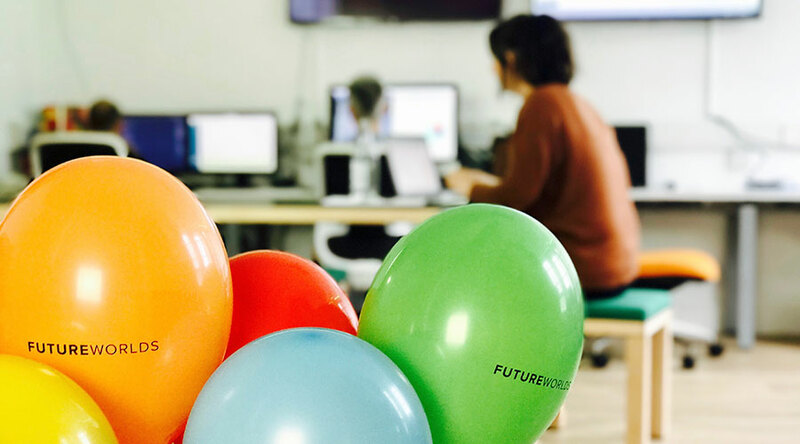 The dedicated Future Worlds space offers permanent desks for resident startups selected for its six-month programme as well as hot-desking for all University entrepreneurs. Flexible meeting rooms and booths can be booked and the modern kitchen area serves great coffee. 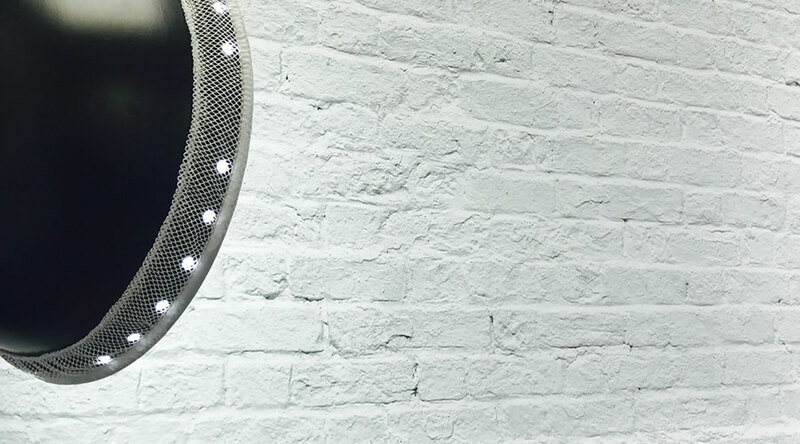 A film studio, run by an in-house producer, has a wide range of professional equipment allowing video capture against a backdrop or on-location setting. 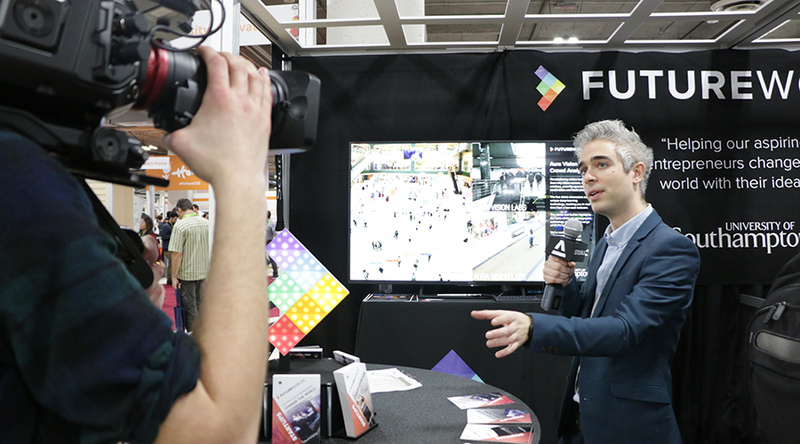 For examples of videos shot, see Future Worlds’ Startups section. Experienced entrepreneurs on the Future Worlds team can offer one-to-one advice and make introductions to the extensive network of mentors. Resident startups get access to a programme of workshops aimed at accelerating their venture and providing sound business foundations. They are also offered opportunities to accelerate their businesses by exhibiting at international trade shows. A studio producer works with founders to film compelling pitch videos which are marketed across Future Worlds social channels and the web platform. The team regularly helps startups and spinouts access equity, grant or prize-based funding and investment. Regular opportunities within the University include the SEED Startup Fund, the Z21 Innovation Fund, and Future Worlds Dragons’ Den event. Future Worlds can also introduce you to private investors and venture capital firms in its network. The accelerator hosts regular events for aspiring entrepreneurs including talks, workshops, and networking evenings to inspire those thinking of starting their own company. Many of the talks are given by seasoned founders and millionaire entrepreneurs and are available to watch on the web platform afterwards or listen to through the Future Worlds podcast channel.